1957. 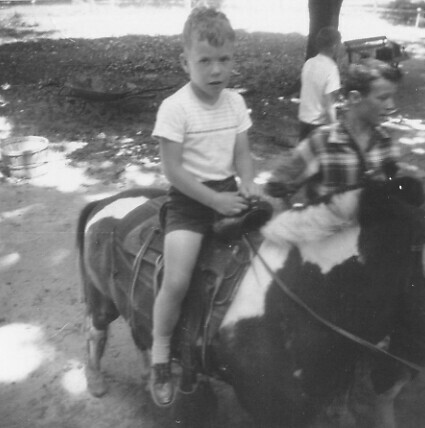 My first (maybe) amusement park ride at 5 years old during one of many trip we'd take to Bob-Lo Island, a fun park in the middle of the Detroit River near Trenton, MI. Look, ma, no fear!